Unfortunately in life, accidents happen. Oftentimes, these accidents can lead to injuries both mild and severe. So where do you go for the best injury care? Why Fakhoury Medical and Chiropractic Center of course. You see, when you or a loved one is injured, you want to feel better quickly. You will be presented with a myriad of options when it comes to health care. But at FMCC, the options all come under one roof! At FMCC, treatment solutions include chiropractic, medical doctors, acupuncture, physical therapy, and massage. Normally, a patient would be forced to visit several different facilities, fill out new patient paperwork, deal with insurance headaches etc. 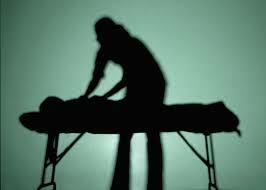 when receiving a multitude of treatments for accident pain. Imagine the relief accident victims feel when they discover they can be seen by our medical doctors, possibly get a cortisone shot and then move to another room to get a chiropractic adjustment. Before leaving, they might opt for a therapeutic massage. Leaving the facility, pain is no longer dominating their life! We specialize in helping victims recover from pain caused by an accident, whether it be a car accident, bicycle crash, home related or any other mishap. Our business has been around for nearly 30 years and we have helped thousands of accident victims recover during that time. All of our personnel are certified, experienced and sympathetic to patients with discomfort. Ocala, Florida is a medium sized town but does seem to have an inordinate amount of motorcycle and car accidents. Don’t let the pain from these or other accidents get you down! No one should live with pain. Call us today at Fakhoury Medical and Chiropractic Center (352 351-3413) or visit our website at https://head2toecare.com. You can complete all paperwork online to make your first visit even easier! Remember, don’t worry, call Fakhoury for your injury best care Ocala specialist. Remember, accidents happen.